Dr. Terry Kim earned a medical degree from Duke University School of Medicine, completed his residency and chief residency in ophthalmology at Emory Eye Center, and continued on with fellowship training in Cornea and External Disease and Refractive Surgery at Wills Eye Hospital. With his medical training successfully completed, Dr. Terry Kim began work as a Professor of Ophthalmology at Duke University Eye Center, where he still serves today. There, he serves as principle and co-investigator on several research grants from the National Institutes of Health and other institutions. In tandem with these roles, he works as the Director of Fellowship Programs. At Duke, he additionally serves as the Consultant Ophthalmologist for the Duke Men's Basketball Team, where he provides ophthalmic care for the players and coaches. Dr. Kim has been published in over 200 journal articles, textbook chapters, and scientific abstracts. He co-authored and co-edited two well-known textbooks on corneal diseases and cataract surgery and is a respected lecturer that has spoken to groups both nationally and internationally. He is also involved on the Editorial Board for several peer-review related journals including Cornea, Journal of Cataract and Refractive Surgery, Ocular Surgery News, Eyeworld, Cataract & Refractive Surgery Today, Premier Surgeon, Review of Ophthalmology, Advanced Ocular Care, and Topics in Ocular Antiinfectives. Through his skill and groundbreaking research work, he earned honors and grants from the American Academy of Ophthalmology (AAO), American Society of Cataract and Refractive Surgery (ASCRS), National Institutes of Health, Fight for Sight/Research to Prevent Blindness, Heed Ophthalmic Foundation, Alcon Laboratories, and Allergan. 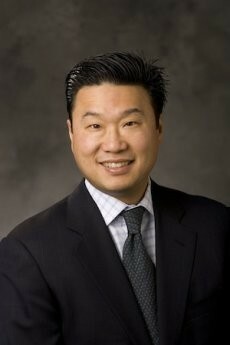 Dr. Kim is repeatedly listed in Best Doctors in America, Best Doctors in North Carolina, and America’s Top Ophthalmologists and has also been voted by his peers as one of the “135 Leading Ophthalmologists in America” in Becker’s ASC Review as well as one of the “Top 50 Opinion Leaders” in Cataract and Refractive Surgery Today. Furthermore, Dr. Kim has performed surgical procedures which have been featured on nationally televised networks like the Discovery Channel. Dr. Kim serves as Chair of the Cornea Clinical Committee for the American Society of Cataract and Refractive Surgery, on the Annual Program Committee for the American Academy of Ophthalmology, and sits on the Board of Directors for the Cornea Society. Recently, he was installed as part of the International Intra-Ocular Implant Club and offers consulting services to the Ophthalmic Devices Panel of the FDA. Expert, professional, friendly healthcare. Thanks! Clearly explains condition, operating very efficient, results so far excellent. Dr. Kim did not speak with my wife after procedure. He did speak to me but I was very sleepy. Nurse told her all went well. Dr. Kim was very patient and thorough. He listened and answered all my questions. The staff was very helpful in answering questions and making arrangements for my procedure. Extremely impressed with Dr. Kim and his entire staff. He has assembled a great team. I'm a new patient so I'm just getting to no him, so far he is a very great doctor. His professionalism is very excellent, I would give him and his staff all fives, he does exceeds so far to me, his expectations, so far I'm glad he is my eye doctor, I was recommended by another doctor. I'm glad she chose him. He does great work. I thank the Lord for Dr. Terry Kim. He has restored my vision to be even better than it was in my youth. I will be telling people to see Dr. Kim for vision care, especially for cataract surgery. Dr. kim saved my sight. My entire experience with Duke has been great. I would have liked to get more information about the surgery and healing/ post-op process before the surgery was scheduled and I would have like to discuss some concerns with Dr. Terry Kim prior to surgery. Dr. terry Kim personally called and checked on how I was doing twice. He is willing to ask for other expert opinions glaucoma department and lens implant manufactures physician. Dr. Terry Kim is the top in his field! I have seen many ophthalmologist and specialists no one even compares with his expertise! I have met few "legends" in the medical field. Dr. Terry Kim is indeed a legend! I have vision because of him. Waiting time on 5/2/18 (Follow up the day after cornea transplant) we arrived 30 minutes early and was taken in 5 minutes. (25 minutes, before appointment), early is great! Everyone is very professional and patient friendly. Very nice and professional also has a really nice staff. Dr. Kim spend time with you. Explaining all details. On the post-op visit, the receptionist greatly over estimated the wait, resulting in my wife leaving and much inconvenience. I will be the first to recommend Duke Eye Center and Dr. Kim to anyone. I am very pleased with my Cataract procedures! Great! Very professional, personal, nurses and doctors. I would like to have more time to talk with the doctor. I spent a lot of time with nurses and doctors but I would like to have had more time with Dr. Kim. My doctor and my wife's future doctor. Dr. Kim has been great. Will recommend him on Fuchfriends site. I'm so grateful that Dr. Kim gave me new life to my eyes via ICL procedure. Thanks to all supporting staff and fellow Dr. Nariani for all professional care! Special thanks to Dr. Kim for his genuine personable care skills and knowledge. I wish him many more years of practice to continue helping severe myopia patients like me. Very pleased with all aspects of Dr. Kim's service. I am very happy and pleased to be a new patient of Dr. Kim! I immediately felt comfortable and well taken care of by Dr. Kim and his entire staff! Everyone has been very kind and helpful. I am very thankful! I found Dr. Kim to be very professional, Very caring and understanding. I rate Dr. Kim as one of the top doctors that I have seen and have ever know. I would highly recommend him to anyone. Have only had the one appointment with Dr. Kim prior to my surgery on Jan. 3, 2017. Did not really have time to accurate rate the alone areas in which I circle. Wait time in office after first visit to set up surgery was very long. Staff suggested I leave and call back.